Prevention of subclinical mastitis (SCM) is an important tool for sustainable dairying and implementing higher production level in animals. The present investigation involved a total of 397 quarters of milk examination of 105 indigenous Tharparkar cows at Livestock Research Centre, Chandan located in the Jaisalmer district of Rajasthan in Thar Desert to study the impact of udder and teat morphometry on udder health. Udder health was examined by somatic cell count to check the status of subclinical mastitis while udder and teat morphometry of 90 udder and 386 quarters, i.e., udder shape and depth, teat end shape, teat length, and teat diameter were examined at individual animal level and quarter level. Data were collected from the record register maintained at the farm and data evaluated by parity (no. of lactation) and stage of lactation. On analysis of variance, result revealed the significantly (P < 0.05) higher incidence of SCM was for pendulous shape udder in respect of regular udder, as well as for inverted and flat teat end shape in respect of pointed teat end shape. Large teat length and upper depth animals had significantly (P < 0.05) more incidence of SCM as compared to small and medium teat length and udder depth group, respectively. 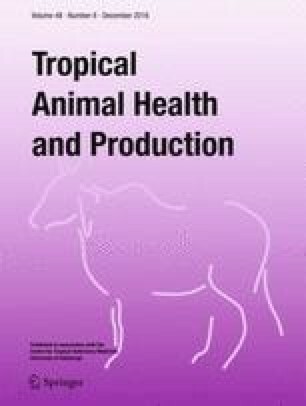 Thick teat diameter group animals were significantly (P < 0.01) more prone to infection as compared to medium and thin teat diameter group animals. So, it can be concluded that selection for optimum udder and teat morphometry in breeding program may help to reduce susceptibility for intramammary infections in Tharparkar cows. Microbiological study of milk samples could be helpful in the nearby future for identification of subclinical mastitis. We are grateful to Dean PGIVER, Jaipur (RAJUVAS) for providing facilities, continuous encouragement, and support during the study. The authors declare that they have no financial or personal relationship(s) which may have inappropriately influenced them in writing this research article. Anonymous, 2014. Ministry of Agriculture, Government of India report, 2014, available on http://www.dahd.nic.in/dahd/bahs-2014.aspx. Smith, K. L., Hillerton, J.E. and Harmon R.J. Guidelines on normal and abnormal raw milk based on somatic cell counts and signs of clinical mastitis. National Mastitis Council. 2001. http://nmconline.org/docs/abnmilk.pdf. Accessed 29 Jan 2016.